Closed Mondays as usual. Phone 0845 5050128 for details. 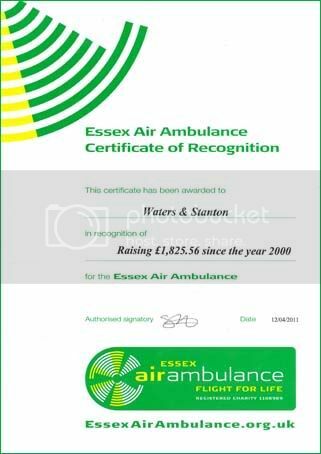 W&S are very proud to have been presented with the below certificate received in recognition of many years supporting Essex Air Ambulance. The charity is one of the main causes we collect for at our Open Day’s and in our shop, and over the years Waters & Stanton customers and staff have donated in excess off £1,800. 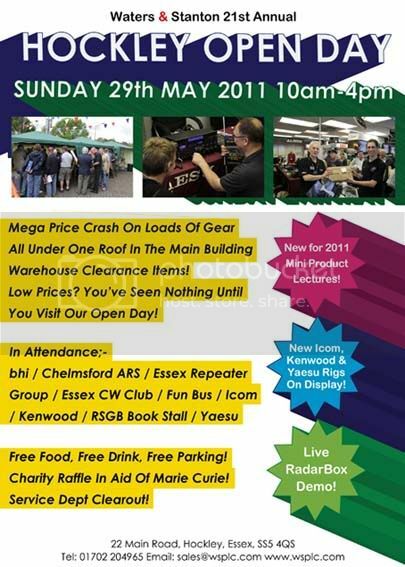 W&S would like to say a big thank you & well done to everyone who made a contribution over the years. 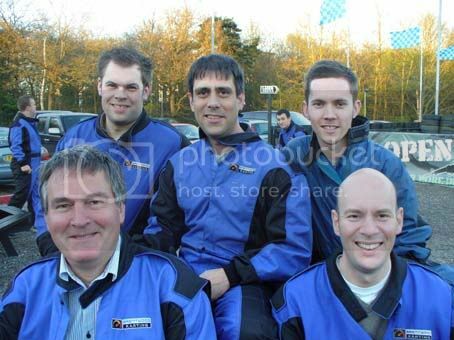 For the second year in a row Waters & Stanton took part in a karting endurance race in aid of charity at Brentwood Karting Centre. The 2-hour race involves 15 teams of 5 drivers with pit stops to refuel and change drivers. 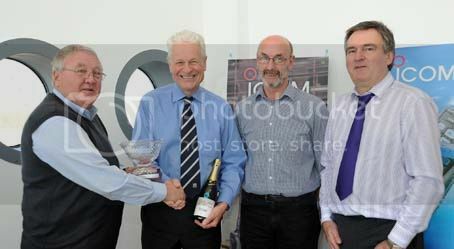 The W&S team consisted of Mark Francis, Steve Hoy, James Payne, Graham Hoy, and John Stanton with Jeff Stanton as team manager. 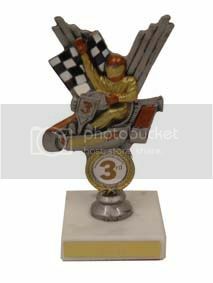 W&S raced to a second consecutive podium place, finishing 3rd at the end of the night despite two spectacular crashes involving Steve and James. Well done guys! Perhaps that is why W&S will be the first to receive the new IC-7410 Transceiver from Icom, which we expect to take delivery of next week! The IC-7410 is another winning design from Icom, many of it’s features have migrated down from Icom’s recent more expensive radio’s, Well Done Icom! You are currently browsing the Waters & Stanton Blog blog archives for April, 2011.